Engevita® is a premium nutritional yeastNutritional yeast is grown on vitamin and mineral ... More that can contribute to your recipe or application in many ways on taste, texture, and nutritional value. 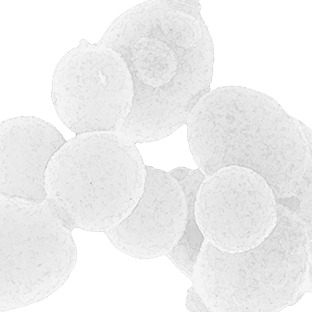 Engevita® products are whole cell yeastYeast is a unicellular fungus that can convert sug... More derived from primary grown Saccharomyces cerevisiaeSaccharomyces cerevisiae is the name of a strain o... More. They have been inactivated by heat and roller drum dried to obtain fine powders, flakes, mini flakes, and tablet grade powders, ideal for dietary supplements or direct consumption. Our whole cell yeastYeast is a unicellular fungus that can convert sug... More products can provide numerous functional food properties and represent a natural and healthy way to increase the nutritional value of your foodstuffs. Engevita® is a source of B-complex vitaminsIn humans, B-complex vitamins are involved in ener... More, vitamin D, dietary fiber and proteinNutritional yeast grown under controlled condition... More. All our whole cell yeastYeast is a unicellular fungus that can convert sug... More products are GMO-free and can be KosherThe Hebrew word kosher means fit or proper as it r... More and Halal certified. Engevita® is also available in organic form. To support its organic customers, Lallemand has researched and adapted its yeastYeast is a unicellular fungus that can convert sug... More production to meet the organic regulations in EU, Canada and USA. The yeastYeast is a unicellular fungus that can convert sug... More is grown on organically produced and certified agricultural substrates with limited permitted processing aids. Lallemand Bio-Ingredients is a key producer of organic yeastYeast is a unicellular fungus that can convert sug... More products and offers Bio-Engevita® inactive dry nutritional yeastNutritional yeast is grown on vitamin and mineral ... More manufactured in Lallemand’s organic-certified plants. All our organic yeastYeast is a unicellular fungus that can convert sug... More products are vegan, gluten-free and KosherThe Hebrew word kosher means fit or proper as it r... More certified. Whether used in soups, sauces or for seasoning, Lallemand Bio-Ingredients organic yeastYeast is a unicellular fungus that can convert sug... More products can help bring out the savory flavor. Meat products or vegetarian foods of organic quality are other products that may benefit in taste, texture, or nutritional quality from the use of our products. Primary-grown yeastYeast is a unicellular fungus that can convert sug... More naturally produced to contain a high level of glutathione, a substance known for its powerful antioxidantAntioxidants are active substances that help prote... More properties. The yeastYeast is a unicellular fungus that can convert sug... More has been inactivated by heat, roller dried and ground. The result is a tan colored, fine powder with nutty, roasted flavor notes. Engevita® GSH is also naturally rich in B-complex vitaminsIn humans, B-complex vitamins are involved in ener... More and contains high quality proteinNutritional yeast grown under controlled condition... More. To support its organic customers, Lallemand has researched and adapted its yeast production to meet the organic regulations in EU, Canada and USA. The yeast is grown on organically produced and certified agricultural substrates with limited permitted processing aids. Lallemand Bio-Ingredients is a key producer of organic yeast products and offers Bio-Engevita® inactive dry nutritional yeast manufactured in Lallemand’s organic-certified plants. All our organic yeast products are vegan, gluten-free and Kosher certified. Whether used in soups, sauces or for seasoning, Lallemand Bio-Ingredients organic yeast products can help bring out the savory flavor. Meat products or vegetarian foods of organic quality are other products that may benefit in taste, texture, or nutritional quality from the use of our products. Primary-grown yeast naturally produced to contain a high level of glutathione, a substance known for its powerful antioxidant properties. The yeast has been inactivated by heat, roller dried and ground. The result is a tan colored, fine powder with nutty, roasted flavor notes. Engevita® GSH is also naturally rich in B-complex vitamins and contains high quality protein.